Can you sue a bar after an alcohol-related injury? for any person to serve someone alcohol while they are under the age of 21 (except in accordance with religious observances). "inebriated to the extent that a person's physical faculties are substantially impaired as shown by significantly uncoordinated physical action or significant physical dysfunction that would have been obvious to a reasonable person." break up the act of violence or an altercation. 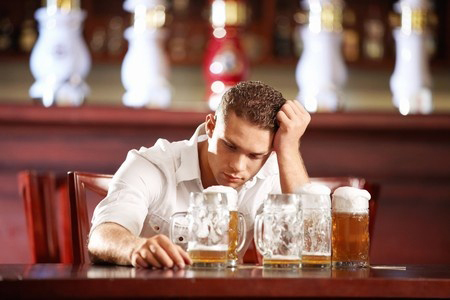 Even when a person is not at the bar, but is in the area immediately adjacent to the bar (such as in the parking lot), bar employees still have a duty to take reasonable steps to notify law enforcement, protect, or break up the act of violence if the bar's employees knew or reasonably should have known of the acts of violence or altercations. Arizona laws related to bar room liability can be found at sections: A.R.S.4-244(14), A.R.S.4-311, and A.R.S. 4-210(A)(10) of the Arizona Revised Statutes. Bar room liability cases are subject to a time limit known as the "statute of limitations." 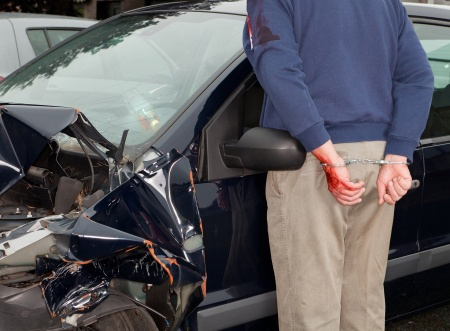 In Arizona, such a case may need to be filed within as little as one year from the date of the injury-causing event. When an intoxicated person causes injury to someone else, many states allow the injured person to seek damages not only from the person who caused the injuries, but also from any vendor or social host who provided the alcohol to the intoxicated person. These cases are covered by "dram shop" laws (so named because alcohol was once sold by a unit of measure called a "dram"). If you or someone you know has suffered from a bar room liability injury in Arizona, please call our lawyers at Mick Levin, P.L.C for a free consultation and to discuss the ways in which we may be able to help you through a difficult time. IMPORTANT NOTICE AND DISCLAIMER: This section covers Dram Shop Laws: Bar or Club Owner Liability for Drunk Driving Accidents and Bar Room Fights: how to sue a bar for negligence, suing a bar for over serving, suing a bar for injury, suing a bar for drunk driver DUI, suing a restaurant, dram shop laws, alcohol realted accidents, injuries, suing a bar for assault, suing a bar bouncer, bar fight court cases. All articles and papers on this site are published for general informational purposes and do not constitute legal advice, nor create an attorney-client relationship between Mick Levin, PLC and the reader. The articles are believed to be accurate on the date written but may not be updated to incorporate changes in the law after the date of publication on the site, and therefore, any information contained therein should be researched and confirmed to assure currency. IMPORTANT NOTICE AND DISCLAIMER: Internet e-mail communications should not be employed for the transmission or submission to our offices of confidential, proprietary or otherwise sensitive information. 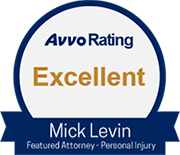 When e-mailing us, please note that your communication with us through this website and e-mail does not constitute or create an attorney-client relationship with Mick Levin, PLC. Unless you are an existing client, any information you send to our law firm by e-mail will be on a non-confidential and non-privileged basis. This page covers: suing a bar for asault, bar fight court cases, how to sue a bar for negligence, suing a bar for over serving, suing a bar for DUI injury, suing a bar for drunk driver, suing a bar bouncer, DUI personal injury attorneys, can a bar be sued for serving alcohol.